Transport of pharmaceutical agents in the body is paramount to therapeutic efficacy. Advances in the past decades have rendered a remarkable improvement of drug delivery strategies, which has helped to increase the bioavailability of therapeutic agents by protecting them from degradation, targeting them to diseased sites, and controlling their circulation time and release rate. Additionally, for most therapeutics, reaching the targets of action require penetration across tissues and/or entry within cells. The design of strategies to control the transport of therapeutic compounds through these physiological barriers has become an imperative and a challenging need in the quest for better therapeutics. 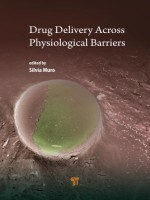 This book provides an overview of the current advances in this field, including considerations on the biological regulation and natural mechanisms overcoming these barriers, as well as drug delivery strategies facilitating the transport of drugs and their carriers at the tissue, cell, and sub-cellular levels.